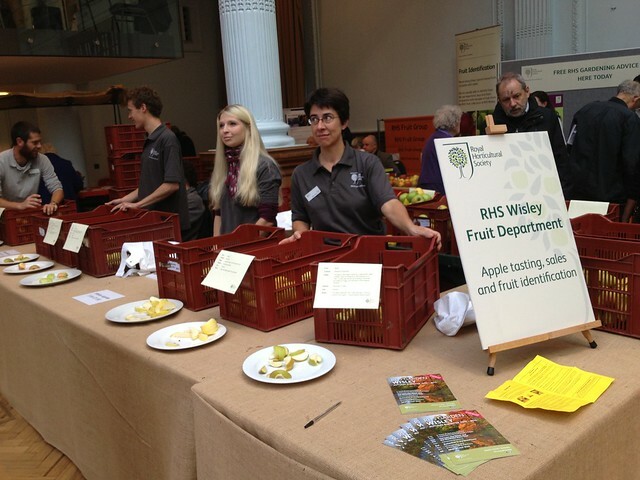 All the team went up to London in shifts over the last couple of days to showcase our apples at the London Harvest Festival, held at the RHS Lindley Hall. 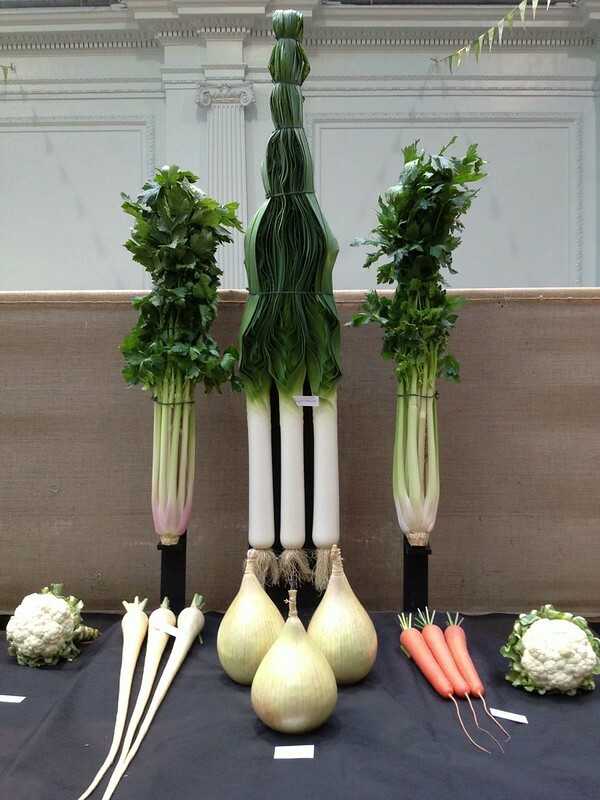 The Festival revolves around the RHS Fruit & Vegetable Competition, which everyone can enter with their lovingly tended produce, and compete on the traditional criteria of size and uniformity. 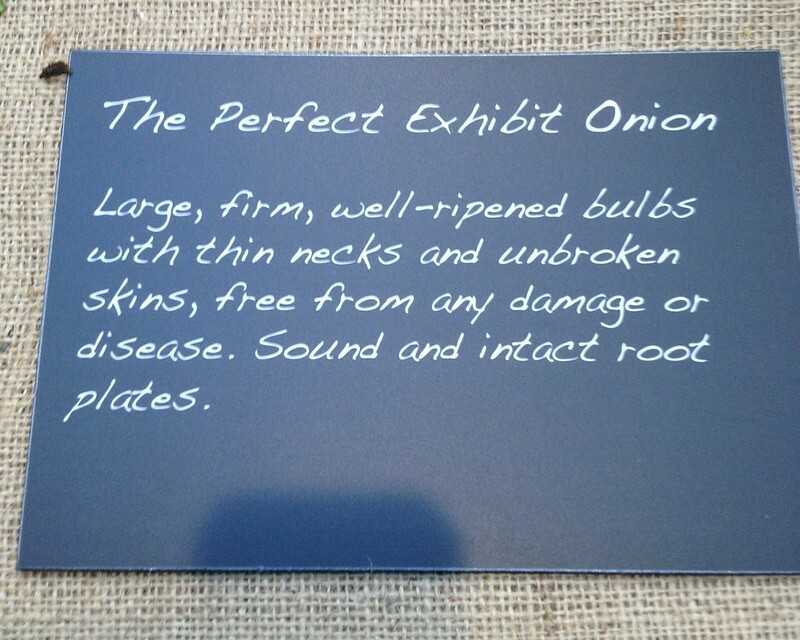 Around the competition, however, a range of produce and products that are all about flavour and diversity: stands of gourmet food and drinks, heritage seed for sale, and - of course - Wisley apples (and fruit identification sessions). Our job for the day was to core and slice apples from the orchard, and offer them for tasting to the visitors, who had the opportunity to buy them. It was the first time I had tasted so many different apples, in the attempt to remember their flavour to advise the customer, and they were irresistible! I found that my favourite one at the end of the day was a cooking apple: tasty Bedfordshire Foundling, a cultivar that dates back to 1800 and whose looks have made it into History, and I mean the Natural History Museum, where it appears on a glyphograph. 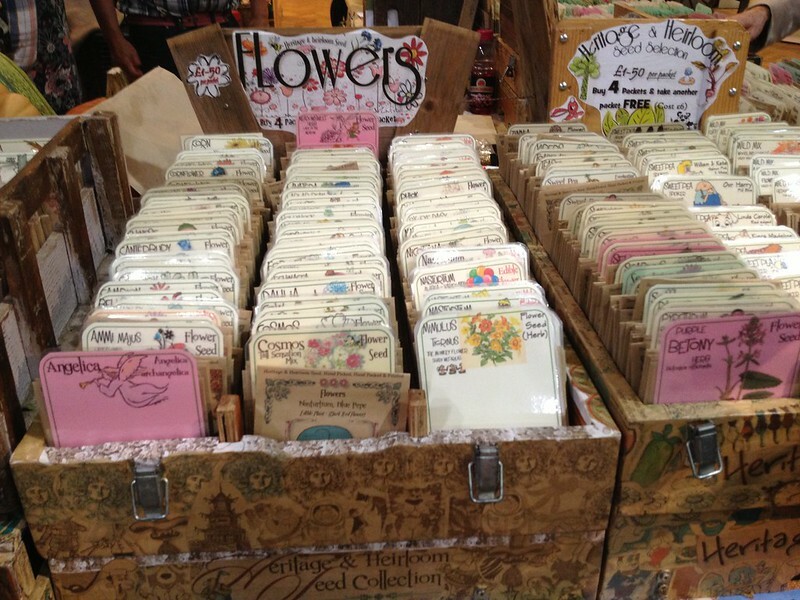 When we display fruits at events, they come accompanied with a card describing them: their origin, flavour, their season of keeping in storage, and the pollination group, that is the time of flowering (as most apples are self-infertile, you need at least 2 varieties flowering at the same or at least partly overlapping time, in the vicinity, for pollination to lead to fruit set - 3 varieties if the apple cultivar is triploid). So here is how the card would look like for my favourite apple: the best sources for researching apples, and the ones I used for my card, are the National Fruit Collection, website Orange Pippin, and of course specialist nurseries that sell the variety (in this case Keepers Nursery). Notes: Large, round fruit. Orange-red flush over yellowish green skin. Cream coloured flesh with a rich sweet-sharp flavour. Fruits are firm, juicy, a little coarse-textured and subacid. Cooks well. 10 apples or so a day: keeps the doctor away?